Mobile Edge Computing focuses on the use of local edge devices in the community for task intensive mobile devices. 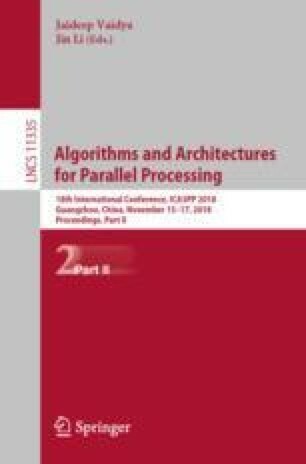 This paper, we propose an incentive mechanism, including a bidding mechanism and a resource allocation scheme by solving the mixed integer programming which is NP-hard using auction. By considering the heterogeneous preferences of resources of task intensive mobile users, we offload independent tasks to local edge devices. We theoretically prove the economy properties of the proposed schemes such as individual rationality, budget balance and truthfulness. Simulation results show the proposed incentive mechanism is 36.27% higher than the exciting multi-round auction mechanism on total utility and 91.68% higher on allocation efficiency averagely. This work was supported by the National Natural Science Foundation of China under Grant Nos. 61702115 and 61672171, Natural Science Foundation of Guangdong, China under Grant No. 2018B030311007, and Major R&D Project of Educational Commission of Guangdong under Grant No. 2016KZDXM052. This work was also supported by China Postdoctoral Science Foundation Fund under Grant No. 2017M622632. The corresponding author is Jigang Wu (asjgwucn@outlook.com).